It is Wednesday, let’s take a break from the stress of all the things we have to do before the Easter weekend. So read my blog entry – it will take only a couple of minutes! It’s great to get 3 or 4 days off (you part-time citizens or teachers don’t count! ), but so much still needs to be done. So many e-mail to attend to, so many bills to pay now it is pay-day; be it in the office, at home, arranged with family, it is the part where you forget that it should be an enjoyable experience. Thus let’s go yoga, let’s let go of it all for the remaining time of this entry. Perfect: Handsome man who shares his food, shows a party trick and who can tell a story or two. 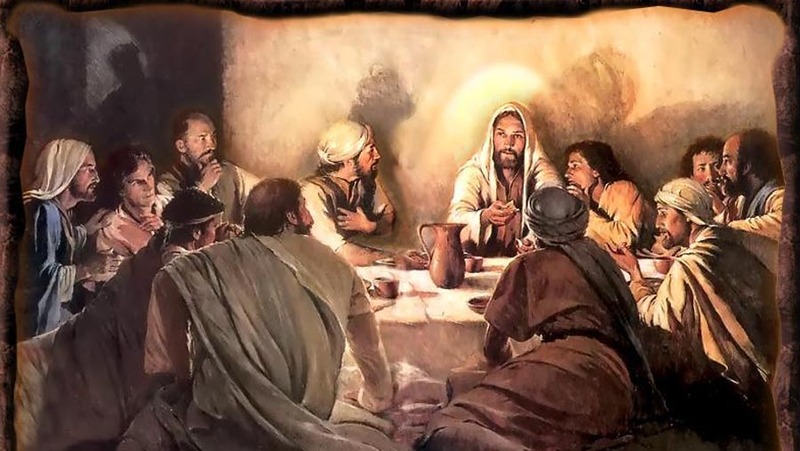 This Thursday is the day before Good Friday when Jesus was crucified and it commemorates The Last Supper after which he was betrayed with a kiss. Love another (like I have loved you). These words that sounded strangely familiar to those said by a different man on the eve of his death more recently and immediately it made me wonder: perhaps when we get to the heart of it, it really is that simple. And even if not: I guess it is a start. Snow at Easter time – what happened to spring? The current Pope. Full Stop. Scary man. Korean navy diver died trying to rescue others. I only know one person who can suggest that we go to the cinema on a Monday night, only to end up drinking glasses of Malbec* in Soho instead, courtesy of the barman. Of course. and yes: the Tuesday mornings are worth it. *edited on 01 April 2010: with apologies to this person whose reputation I put on the line by mentioning Merlot! … Two hours later (a trip which could theoreticallt have taken 20min) the designated driver managed to find my place. Hoorah! The rest of the team showed up on time-ish, we had to make a quick dash to pick up last minute tights and wedding card but we were ready to go. We get in the card and fellow passenger manages to find where the sat-nav needs to be plugged into: Double hoorah! This is easy peasy! We get to the B&B on schedule, get changed and we are on our way. 7.15pm Team G is in, that is well acceptable timing when the reception starts at 7pm. I can relax: Job done. All is good, have a good time involving dancing, glowsticks and hats, and despite a tiny incident with a couple of misfits outside a kebab shop, (It was a guy thing, I didn’t get it) it was all good. Sorry for the anti-climax folks, but it definitely made me happy. Even when I graduated secondary school one of my teachers wrote in my yearbook: Great preparation isn’t everything…but it sure helps! This to illustrate my need to have things organised. To be honest: it can go two extremes. Either I just go on a whim and forget that I cannot read Hebrew when I find myself suddenly on an impulsive trip to Israel. (Which taught me that in any case, you should probably find a map of where you are heading and find out what currency they pay in.) Or I’d like to know what I am doing, especially when travelling with other people. Yes to put it more bluntly in group travel situations I am a control freak; but I can almost guarantee you that you will never be late. You might be early…but you will almost never be late. I don’t run for the train out of principle, so I make sure that I am on time. The only time I had to run for a train was when I was with other people. ‘Other people’ they complicate smooth journeys sometimes. Don’t get me wrong I love being with other people, I can do group holidays; it’s nicer even to share moments of beauty with others. It really is the getting from A to B travel, that gets me. The practical kind that has to be done to get anywhere (from A to B to be exact.) I hate the situations where someone goes; What shall we do? Shall we stop for lunch? and everyone goes ‘ erh I don’t know..’ or ‘ Erhm, I don’t mind, what do you want to do?’ This is not efficient conversation, someone asks a question and it gets bounced back to them. Usually they will answer something like: ‘ Oh I really don’t mind, it is up to you guys.’ And then it’s quiet. Nothing has been achieved. Then it is often me that goes: Yes let’s stop for lunch. Usually because I am hungry or because if someone asks whether the group wants to stop for lunch, they are basically saying they are hungry. (Unless they state they aren’t: I’m not hungry but would anyone of you like to stop for lunch as I am happy to do so.) If the conversation then spirals into ‘ Where shall we go?’ ‘I really don’t mind’ ‘You choose’ I will also choose a place to eat: I get homocidal when I’m on a sugar low. So group travel. This weekend we are going to a colleague’s wedding, so sorted out accommodation, coordinated how people get from their homes to mine (gathering place) so we can then all head off to lovely Chichester and the location in the middle of nowhere. The designated driver is also bringing the cupcakes for the wedding, (she had to drop off the first lot for the day guests to the people who were going to the whole thing and then take the rest down for the evening guests…) so no pressure but we should probably try to make it on time. I had printed a route from her place to the cupcake exchange location, from cupcake exchange location to mine. But it was ok, she said because she had a sat-nav, which would get us safely from London to Wedding location. Excellent, made an itinary, made sure everyone had eachother’s mobile numbers, had a time plan with a little contingency should things go wrong. Happy Saturdays, all will go well. Why would you do that? He said. What if you would have to pack boxes for the rest of your life? He said. That would be sad. I said. What would you do then? He said. 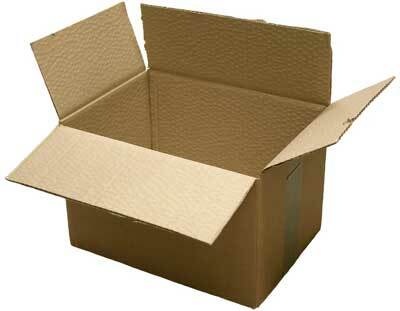 What if you have to pack boxes for. the. rest. of. your. life? He said again. I don’t know. I said and agreed it was very silly. If I do end up packing boxes for the rest of my life, by the end of it, I will own the goddamn place. At 11.30am I got sent an e-mail with an invite to a press event about Oats. 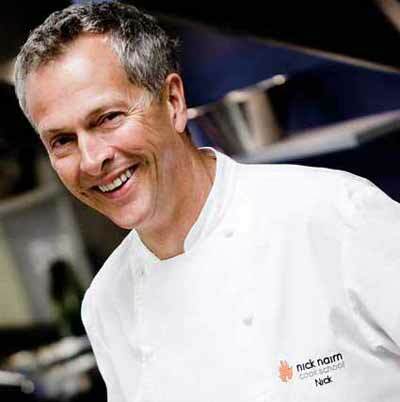 I was kindly asked to go there and do a little interview with the celebrity chef Nick Nairn. Ha! I can do that. I am almost a professional journalist. Ah hang on… the press event had started 2 hours ago and I needed to get a quote on peppers. Not oats. Well I could mention oats but I really needed a quote and preferably a recipe with peppers. There was my taxi, off you go madam. The man is going to think I am a nutter. Great, as I walk in all the presentations have finished and lunch is served to the little group in the test kitchen. Nick is sitting in the middle talking to an older lady. The lovely PR guy says that people have been in and out all the time and somehow I don’t believe him. But I want to believe him. That is the most important thing. A RED PEPPER STUFFED WITH OATS AND NUTS! I am saved! Now I only need to wait until Nick is free. I decide to make the best of my time, chat a little to the owner of this cookery place (they do courses if anyone is interested) and wait my turn. When I am shameless hovering to jump on Nick as he is rounding up with another press lady, the nutrionist I spoke to earlier thinks I want to interview her. Argh! How to say this politely? Nick is getting up, my eyes shift, the lady notices,this is getting awkward, argh, then she lets me go because she thinks I need to go back to the office and I need to speak to Nick. When we sit down, I introduce myself and decide to be honest: I missed the presentations, I loved the lunch and I need to speak to him about peppers. Not oats. No. Sorry. He is great about my predicament. Thinks it all very amusing. Gives me a long quote on peppers, how he loves them, a few quick recipes, makes sure I got everything I need and offers to sign the cookbook you get in the presspack. He then proceeds to sign everyone’s book, with my pen. Which I have lost by the end.